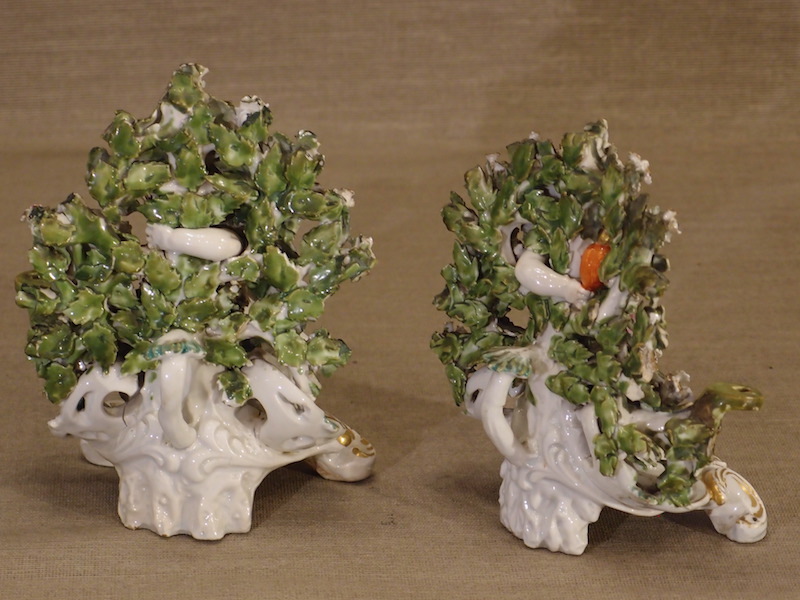 This charming pair of Derby porcelain candlesticks has been damaged long ago and repaired. The repainting has discoloured, but a china restorer could easily repaint the surface of the sound old repairs to make them invisible again. We have left them visible to clearly show the repairs. The candle sockets are also missing, but could be replaced by metal ones, if desired. The rococo scrolling base supports a cherub, and a flowering bush, the boccage. 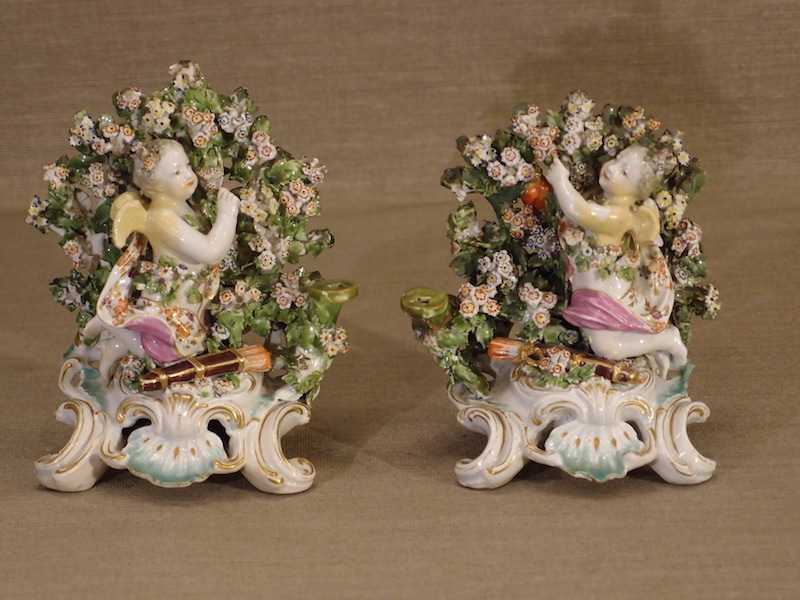 The cherub supports itself by an arm around the shrub trunk, seen on the reverse of the candlesticks. whimsical and delightful! The quiver of arrows at the base of each cherub suggests the cherub might be Cupid.